October 2nd, DR1: The public prosecutor is now trying a new method for announcing to Amdi Petersen and four others that their acquittal has been appealed. 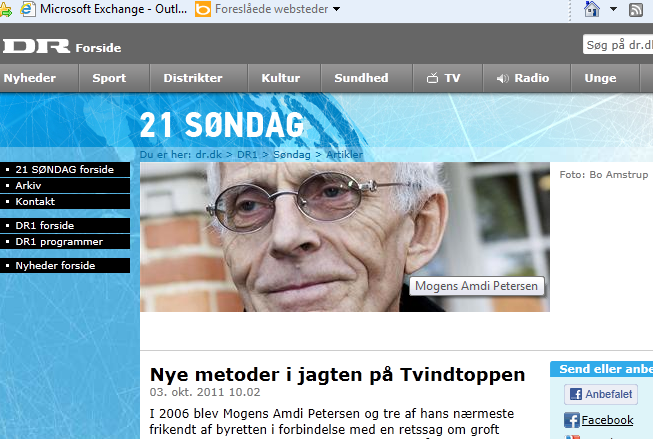 Under Danish law a subpoena has to be handed over in person but the persons are nowhere to be found. The appeal has now been announced in Statstidende - a State newspaper used for public announcements - and the prosecutor is hoping that this is sufficient to start the appeal trial. 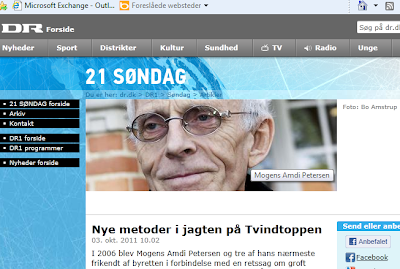 See the important TV2 Documentary from sep. 2000 that formed the foundation for the court case against Tvind.